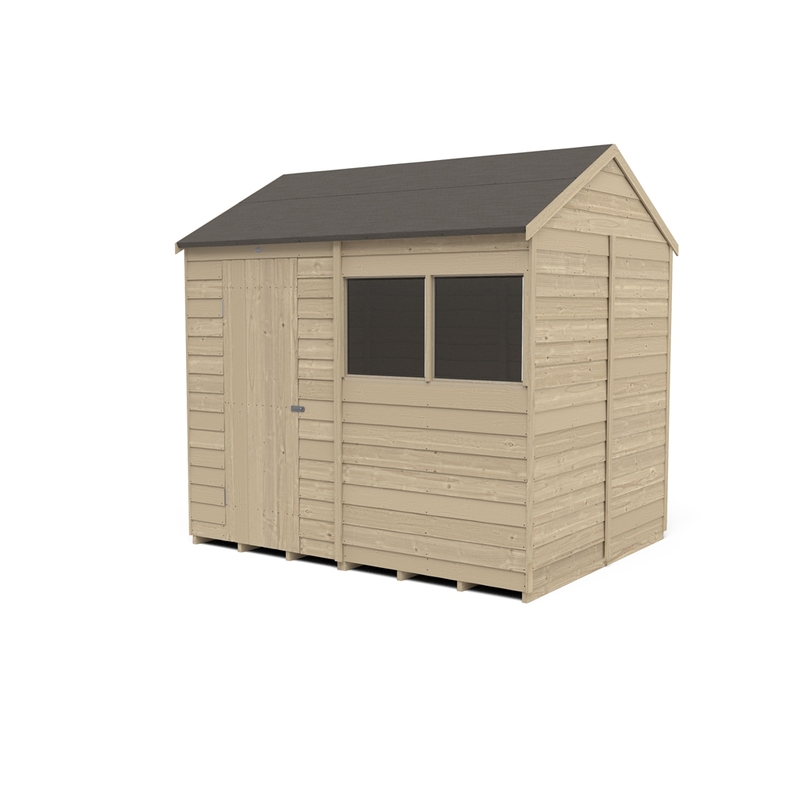 The Overlap Pressure Treated 8x6 Reverse Apex Shed is an excellent storage solution. 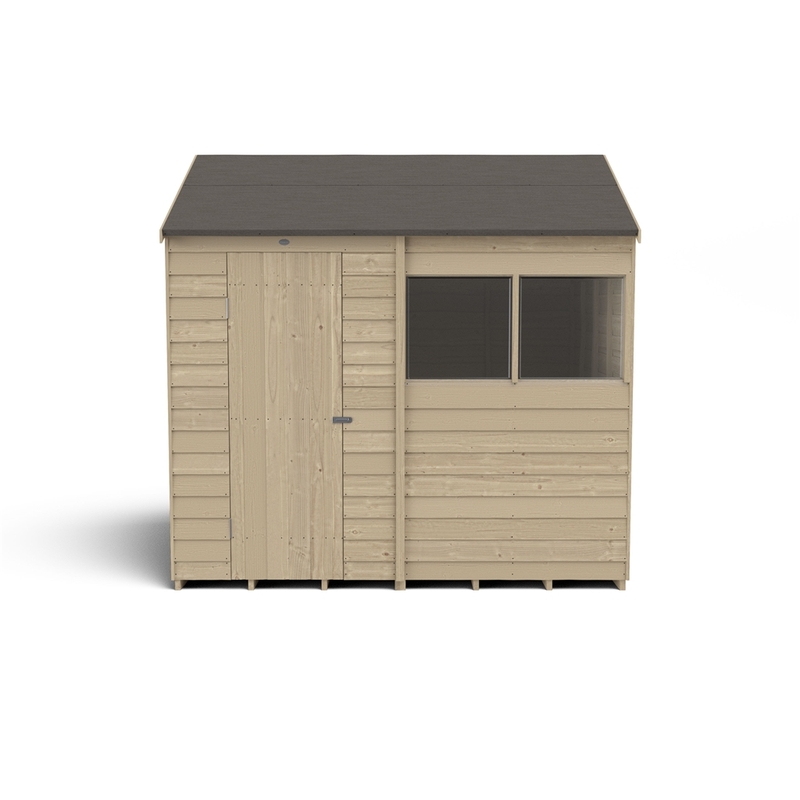 The design makes it ideal for positioning against a wall and allows the interior space to be used to its greatest storage potential. 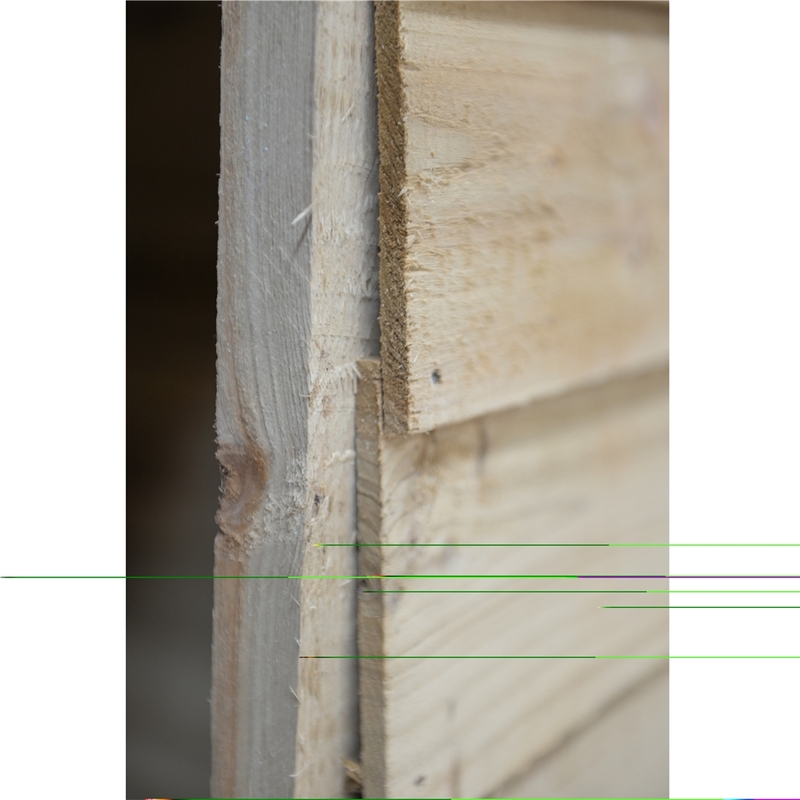 The alternative design of this shed has a fixed window next to the door, so there's plenty of light. 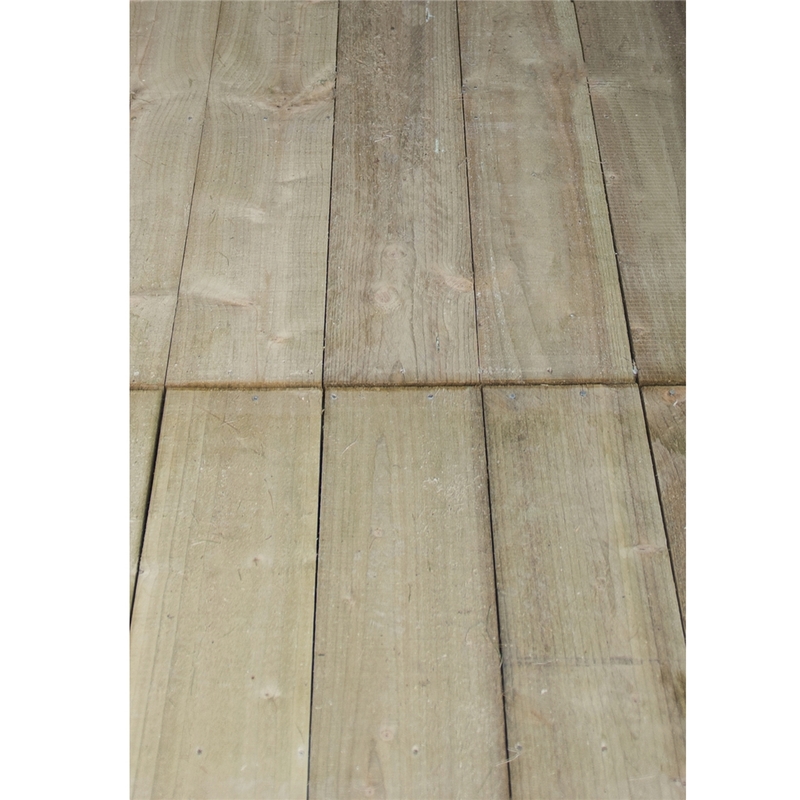 The Pressure Treated solid timber boarded floor is very robust and allows for storage of heavier items such as lawnmowers or bags of compost. 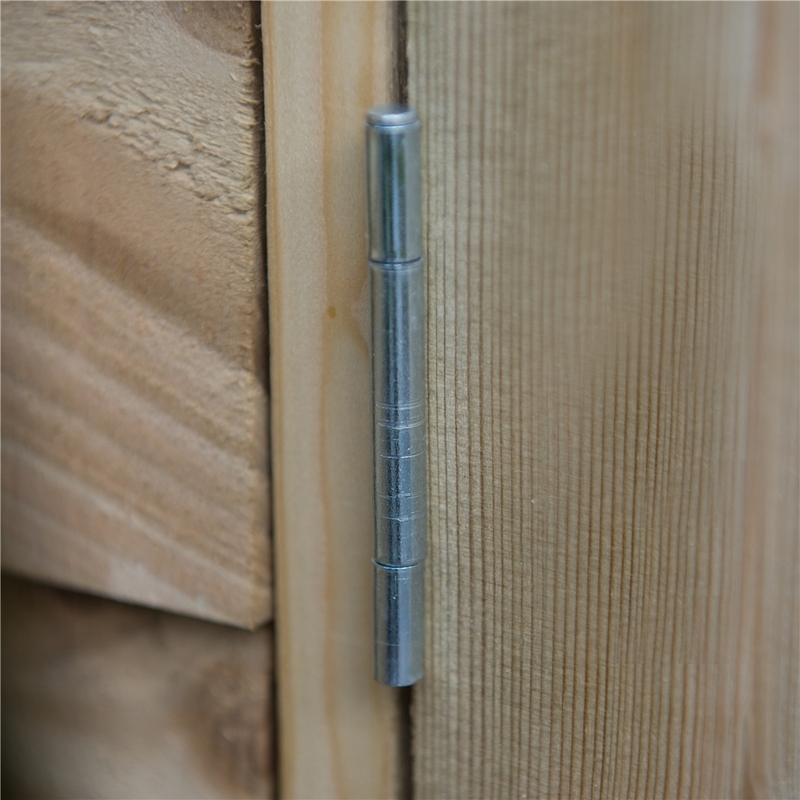 For added strength and security, the single door is braced with double “Z” framing and features hidden door hinges. 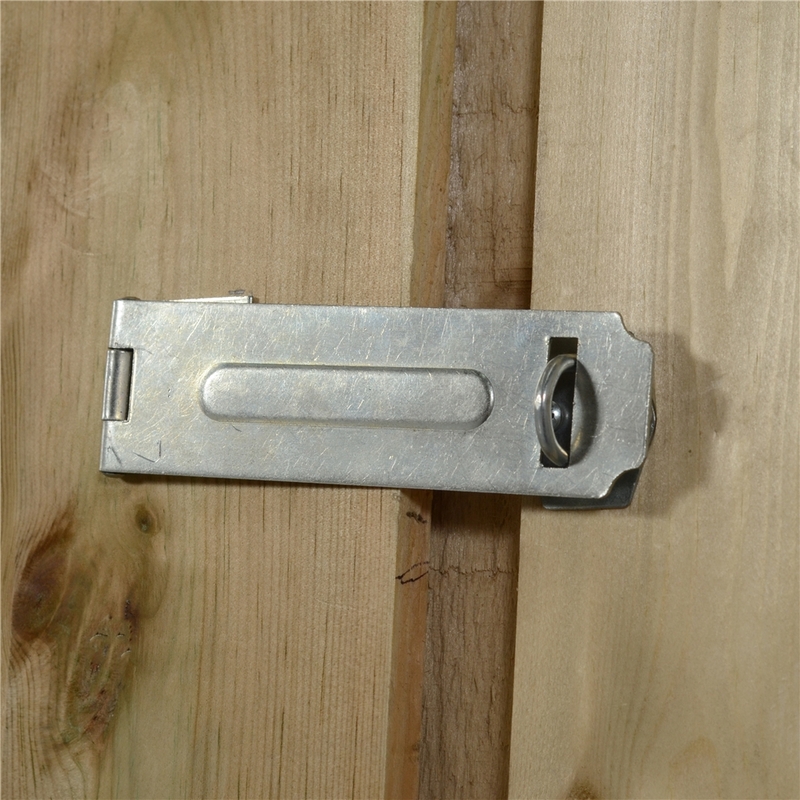 It can be secured with the hasp and staple latch and padlock for increased security (padlock not included). The window is glazed with unbreakable polycarbonate that won’t go yellow or brittle over time and fixed with security screws that cannot be unscrewed. 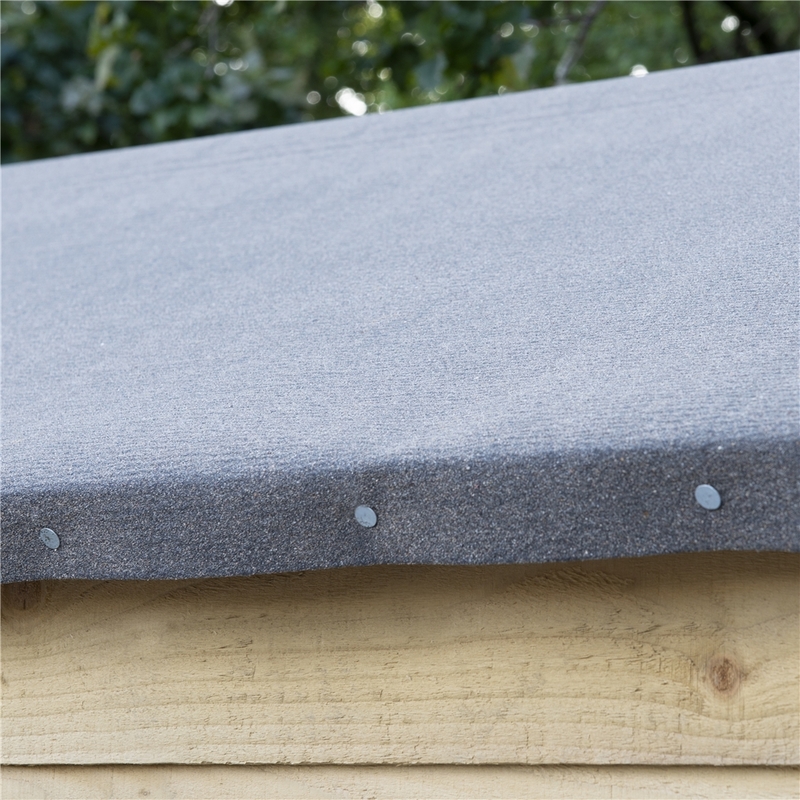 The roof is finished with attractive black sand felt. 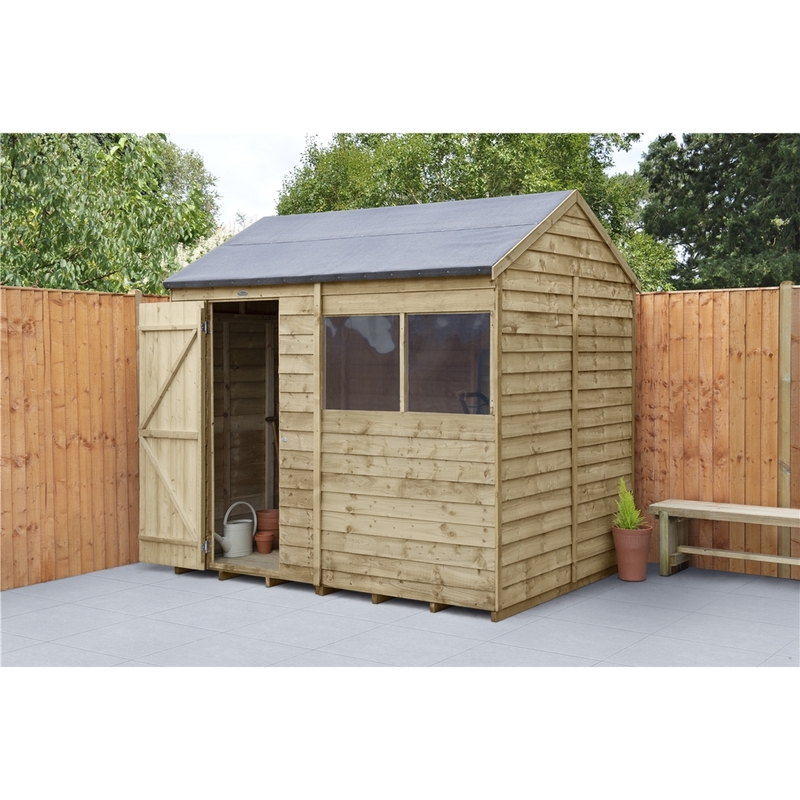 The straight cut boards use an overlap construction, which allows flexibility and natural movement of the timber during the changing seasons, while the Pressure Treatment that has been applied to this 8x6 shed gives a 15 year guarantee against rot. 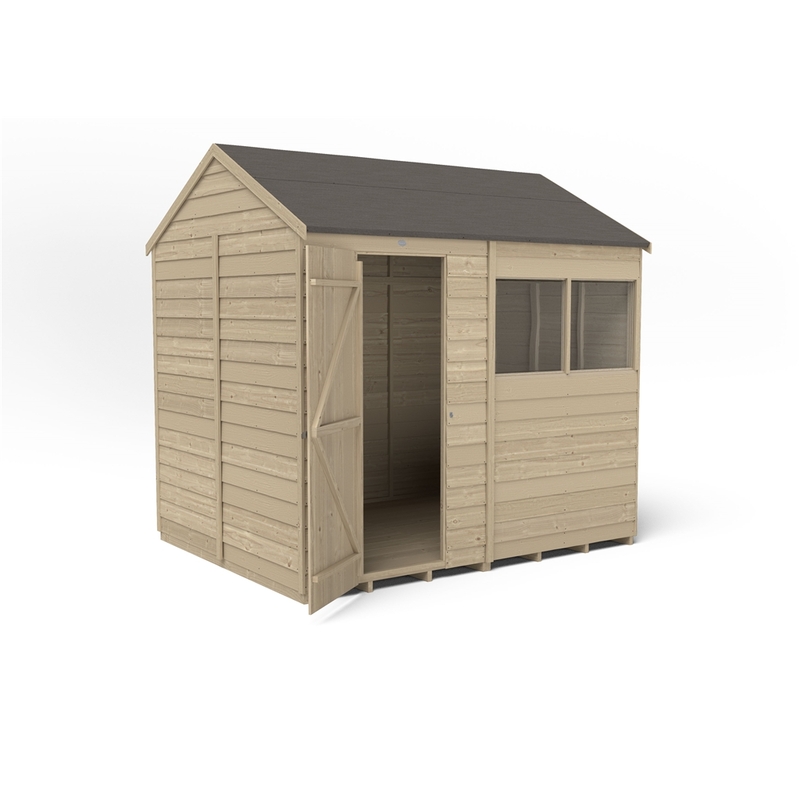 These quality garden sheds are manufactured in the UK using FSC certified timber from sustainable sources. 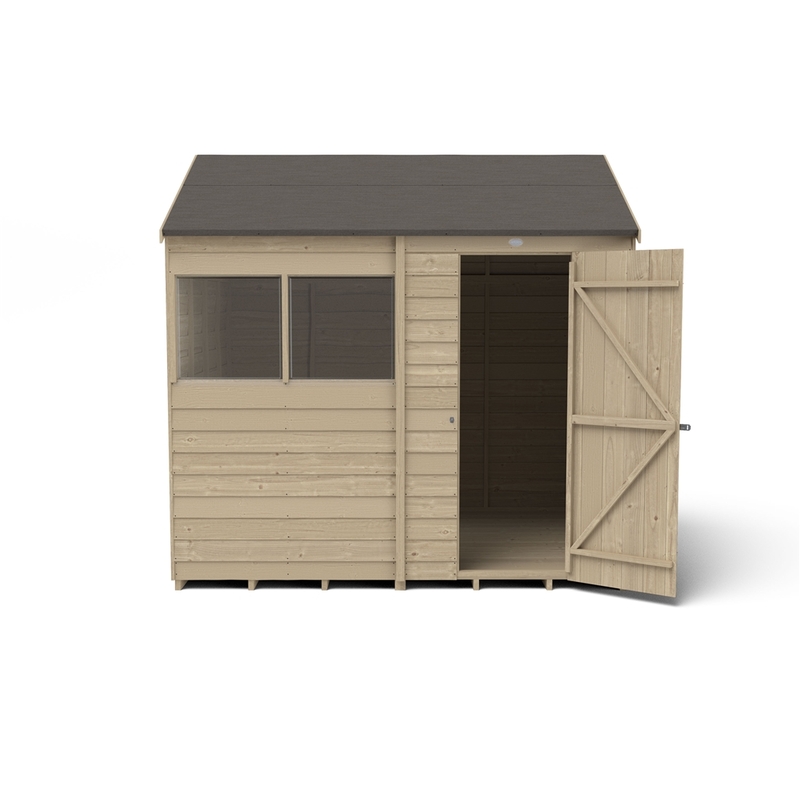 All fixtures, fittings, felt needed to build this shed are included, along with easy to follow instructions.